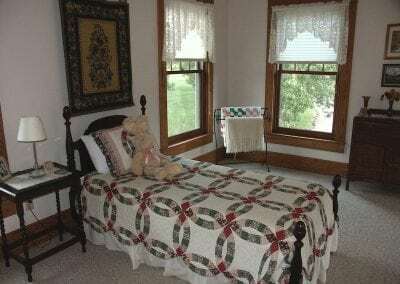 The Oak Room is located on the second floor of the Farm House. 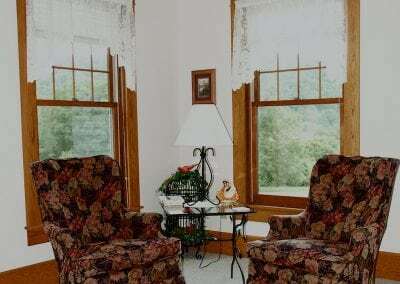 Large windows on three sides of this room provide views overlooking our private lake. 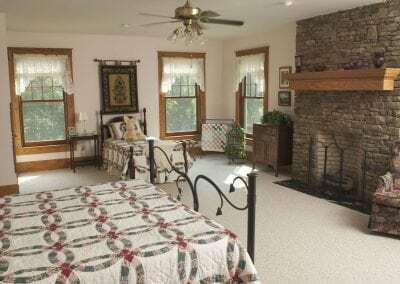 This spacious room features a Stone County Ironworks king size iron bed and a floor to ceiling fieldstone-faced gas log fireplace. 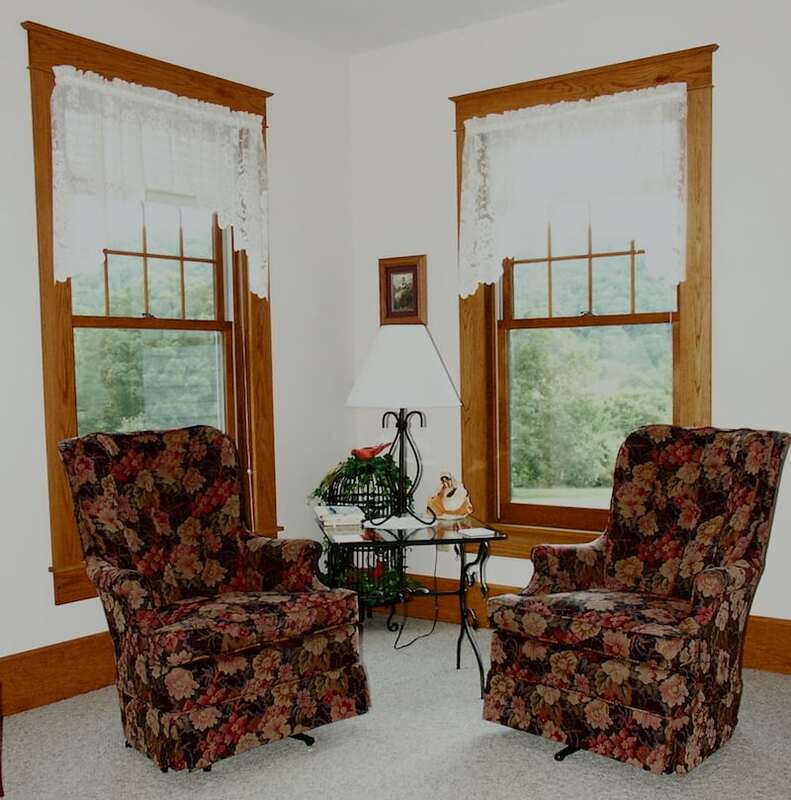 Two swivel rockers provide comfortable seating for reading or lounging. There is also an extra single bed for those who might be traveling with a third person. 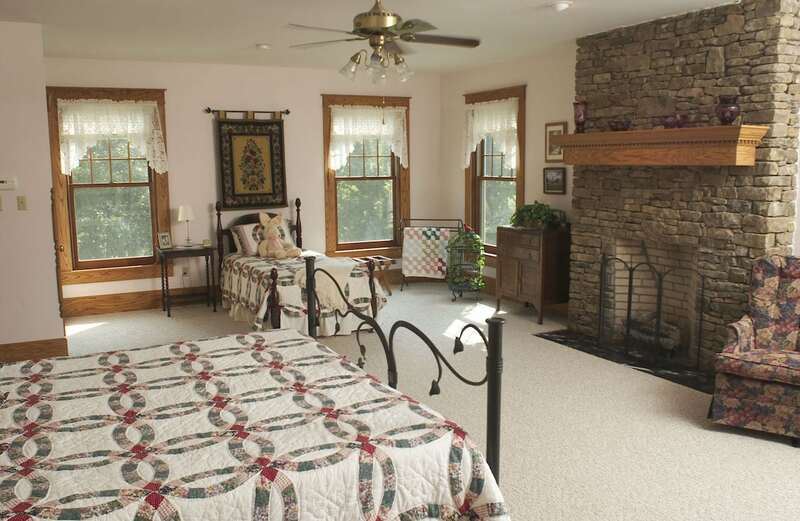 This exceptionally large room is ideal for couples who like lots of space. 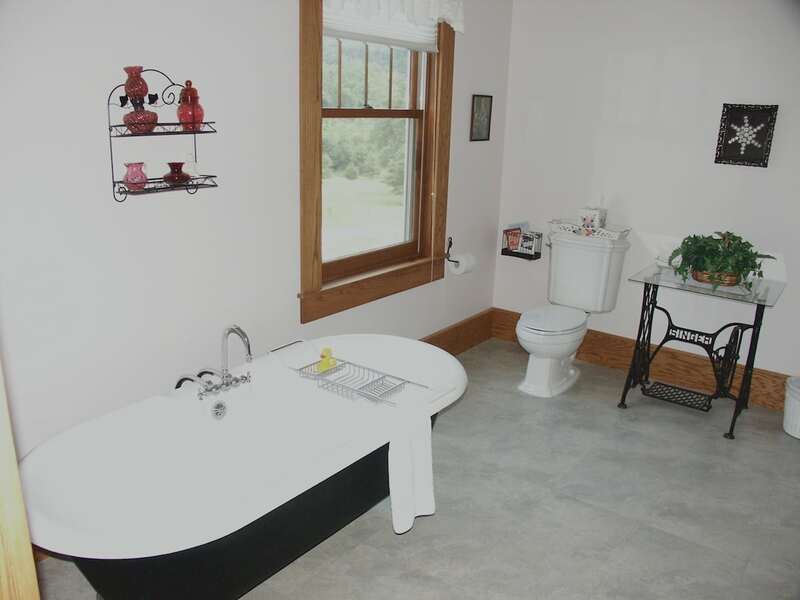 The large private bathroom has an old fashioned claw-foot tub for soaking and relaxing and a cultured marble walk-in shower. 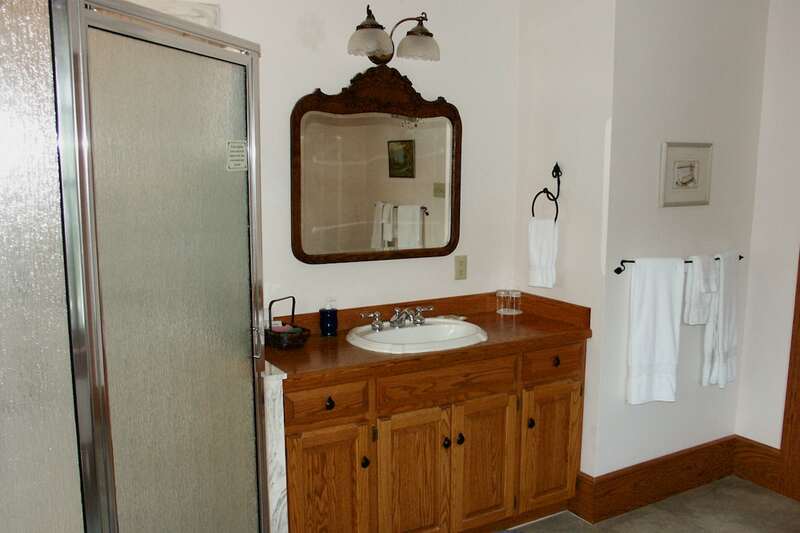 An oak vanity provides adequate space for all your travel personal grooming items. 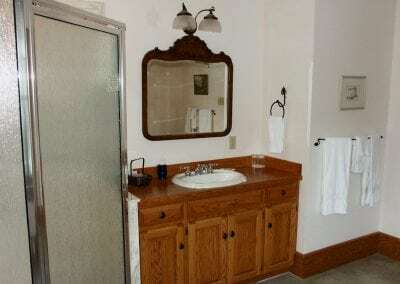 An ironing board and steam iron are provided in the large closet, that also has a full length mirror. 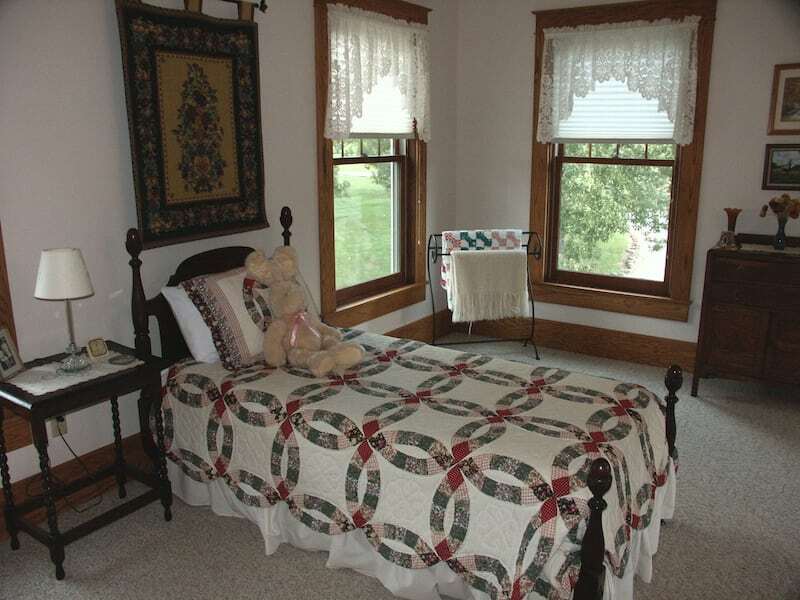 This room is available for $140 per night double occupancy. Maximum occupancy is 3 guests. A fee of $20 will be added for third guest. Children 14+ only.